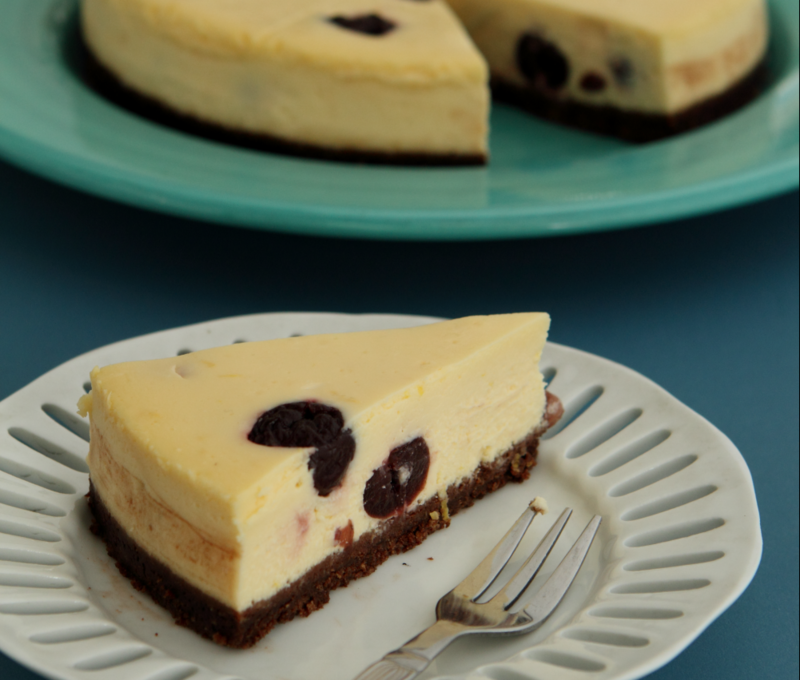 Cheesecakes are an all-time favourite, appropriate for any occasion. For a special twist, whip up this Cherry Cheesecake made extra delicious with a dash of cherry liquor. This recipe was first published in Flavours magazine. Mix the base ingredients well and spread over a removable base of a 20cm round pan. Refrigerate for 1 hour. Wrap cake pan with 2 layers of heavy duty foil. If using, soak cherries in cherry liquor in fridge overnight, then drain and reserve liquor. Preheat the oven to 150°C. Beat cream cheese, lemon zest, sugar, corn starch and 2 tbsp liquor, if using, with electric mixer until light and fluffy. Beat in the eggs then mix in sour cream. Fold in half the cherries. Pour cheese mixture into prepared base. Place remaining cherries on top. Bake in water bath for 1 hour. Cool cake in the oven with the door ajar for 1 hour, then cool completely on a rack. Refrigerate overnight, covered.